Regeneration (palingenesia) is from a compound word meaning, "birth" and "again," and is used of spiritual regeneration. It is a miracle of God by which the principle of new spiritual life is implanted in man and the ruling nature of his soul is made holy. This is the new birth, being born again (cf. ﻿John 3:3–8﻿; ﻿Eph. 2:5–6﻿; ﻿1 Pet. 1:23﻿; cf. ﻿Ezek. 36:25–27﻿). Robert Haldane gives one of the best summaries of this essential doctrine: "Grace--the operation of the favor of God in the heart--is communicated, and the sinner becomes a new creature. Regeneration is not a work which is accomplished gradually; it is effected instantaneously. At first, indeed, faith is often weak; but as the new-born infant is as much in possession of life as the full-grown man, so the spiritual life is possessed as completely in the moment of regeneration as ever it is afterwards, and previous to that moment it had no existence. There is no medium between life and death: a man is either dead in sin, or quickened by receiving the Holy Spirit; he is either in Christ, our out of Christ; God has either begun a good work in him, or he is in a state of spiritual death and corruption . . . . Thus the same grace that operates in the election of the saints is exercised in their calling and regeneration, without which they would remain dead in trespasses and sins" (Romans). The Scriptures are quite clear that the new birth or regeneration does not take place in successive stage of spiritual experience, but is the communication of spiritual life in contrast to spiritual death. "You were dead in your trespasses and sins" (Ephesians 2:1). The word "regeneration" stresses the beginning of a new state of affairs in contrast with the old. In John 3:3 the Jewish religious leader Nicodemus understood Jesus to speak of a repetition of a birth, or a second or repeated birth. However, regeneration is not a second physical birth but the act of God imparting spiritual life. "Regeneration" is the giving of the life of God, eternal life, to a sinner who is spiritually dead. It has a point of beginning whereby the Holy Spirit imparts spiritual life to the individual dead in trespasses and sins. When a person is anothen he is born anew and undergoes a radical change that is like a new birth. It can only be described as being born all over again spiritually. Jesus demanded that the sinner, "dead in trespasses and sins," be born again. He demanded that there be the impartation of divine life to the believing sinner. Only God can cause a person to be born spiritually. It is a miracle of God; a birth from above by the Holy Spirit. Ephesians 5:26 says, "having cleansed it by the washing of the water with the Word," is not referring to water baptism, but the Word of God. This gives a good explanation of the "water" in John 3:5, 6. John Calvin said the water and Spirit referred to the one act of the cleansing work of the Holy Spirit. The Spirit of God takes the Word of God, and when the sinner believes, imparts the life of God. Another key verse is Titus 3:5, where regeneration is described as "washing." "He saved us, not on the basis of deeds which we have done in righteousness, but according to His mercy, by the washing of regeneration and renewing by the Holy Spirit." The Word has a cleaning effect upon the believer's life. "As in Romans 6:3-6, the immersion is the picture or the symbol of the new birth, not the means of securing it. . . . The Holy Spirit does the renewing, man submits to the baptism after the new birth to picture it forth to men," writes A. T. Robertson. God does not save any sinner because of any righteousness or virtue or merit in them (Rom. 3:21-24; Eph. 2:8-9; 2 Tim. 1:9). It is an act of His grace, love and mercy based on the sacrificial death of Jesus Christ. "When the kindness of God our Savior and his love for mankind appeared, he saved us not by works of righteousness that we have done but on the basis of his mercy, through the washing of the new birth and the renewing of the Holy Spirit" (Titus 3:4-5). The apostle Paul is not referring to baptism by immersion here because consistently in the New Testament people are baptized after they were saved as in Acts 10:43-48. 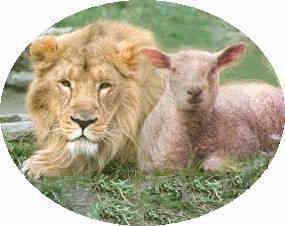 The believing sinner is born spiritually, cleansed by the blood of Jesus Christ, indwelt by the Holy Spirit. Water baptism is an outward testimony of what has already taken place within the believer. It is not a means of salvation, but a testimony that the individual has already been saved by grace alone through faith alone in Jesus Christ alone. The means of grace through which God saves us are the "rebirth" illustrated here as "washing" from our sinfulness,” and the "renewal by the Holy Spirit." The whole emphasis is on God's saving grace, rather than anything a person does. "Therefore if any man is in Christ, he is a new creature; the old things passed away; behold, new things have come" (2 Corinthians 5:17). To demand that "water" refers to baptism as an essential part of regeneration plainly contradicts other Bible verses that make it explicitly clear that salvation is received by faith alone (John 3:16, 36; Ephesians 2:8-9; Titus 3:5). Jesus was telling Nicodemus that in order to enter into the Kingdom of God he must be regenerated by the Holy Spirit. To be born again means to be born of the Spirit. Only when God ushers in the new heaven and new earth will sin and evil be entirely absent (Rev. 20:7, 8; Psa. 2:5; Acts 3:21; Matt. 19:28). 1. The new birth is something that God alone does in the sinner by His grace by an operation of the Holy Spirit. We are saved by grace when we put our faith in Jesus Christ. It is the starting point of a radically new spiritual life. From that point on we are to live the Christian life by grace every day of our Christian lives (Rom. 8:15-17; Gal. 4:6-7; Eph. 1:13-14). 2. We did not save ourselves; "He saved us." How did God do it? The work of the Spirit of God did it through the miracle of the new birth. Have you been born again? 3. The sinner cannot regenerate himself; he is dead spiritually. Only the divine operation of the Holy Spirit can bring life to a human spirit. 4. Water baptism by means of immersion is definitely a part of our obedience and testimony to the command of Christ, and is a beautiful witness to His death and resurrection, but the new birth does not come through water baptism. No amount of water baptism can effect a spiritual change in a person. Salvation comes through faith in Christ (Eph. 2:8-9; Rom. 10:9-10, 13), not water baptism. 5. The apostle Paul cautioned adding anything to the sovereign saving grace of God (Galatians 1:6-10). It is a false doctrine that teaches that a lost sinner can only be saved by a baptism administered by a minister of the only "true church." Salvation and new birth comes to the believing sinner the very moment he turns from his sins and puts his faith in the saving work of Christ alone. Believe on Him and be saved today.